We are always seeing the royals in the most fabulous dresses! Fashion Designer, Diane Von Furstenberg seems to be very popular with Kate Middleton. She has been spotted in the Diane Von Furstenberg, Zarita Black Lace Dress, twice now! Once in 2014 and recently at Kensington Palace. Now we are seeing Price Harry’s girlfriend, Meghan Markle also wearing the same Diane Von Furstenberg, Zarita dress, although her version was navy and short. On Girl Meets Dress you are able to hire dresses by Diane Von Furstenberg. 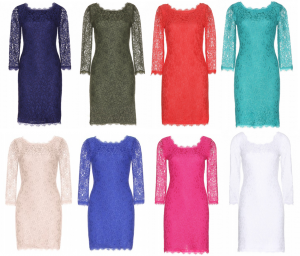 The Navy Lace dress Zarita dress as seen on Meghan Markle! This dress is extremely popular and perfect for various occasions, so why not try it and dress hire this gorgeous navy lace dress! At Girl Meets Dress we offer a range of Diane Von Furstenberg dresses which you can hire! We have the Zarita dress in various different colours. The Zarita dress is a very popular and classic dress, so why not contact us and hire a dress it for your next event! Posted November 9th, 2017 in GMD Daily. Tagged: ball gown dresses, ball gown hire, Black tie dress hire, celebrity hire dresses, Diane Von Furstenberg, Diane Von Furstenberg dresses, Dress Hire, evening dress hire leeds, evening dress hire london, Girl Meets Dress, GMD, gown hire, hire a dress, hire celebrity dresses, hire designer dresses, hire DIANE VON FURSTENBERG, hire dress, Hire dresses, kate middleton, Kate Middleton dress, Kate Middleton Fashion, london, london hire a dress, long cocktail dresses, long dresses, meghan markle, meghan markle dresses, meghan markle lace dress, rent celebrity dresses, Rent designer dresses, rent dresses, short dress, short dresses to hire.